The PV-500L4i recorder is part of the 2017 range of Wi-Fi & IP enabled devices from LawMate. The Wi-Fi connection allows the recorder to connect to Android and iOS phones & tablets to provide remote full system control and live monitoring. The PV-500L4i recorder does not have a screen and this permits the battery life to increase to 4 hours of operation. 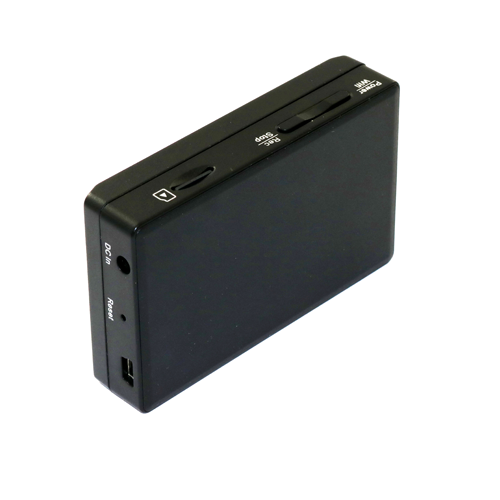 If you also opt for the BA-4400mAh battery, operation increases to circa 8 hours on a fully charged battery. This recorder is designed to work with the range of LawMate analogue camera options whilst permitting the operator to download or monitor the recordings. Using the supplied AV input cable, you can also use this excellent DVR with any non-LawMate camera.